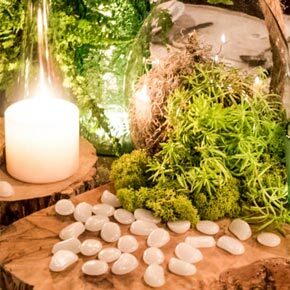 By day, scattered pebbles – by night, a gentle glow. 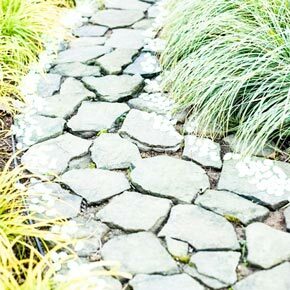 Toss these innocuous-looking white "pebbles" along a garden path, on a patio table or in a hurricane jar and surprise your guests with a soft green glow that gently lights the way come nightfall. 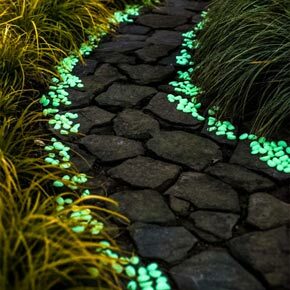 The glow-in-the-dark material in these "stones" looks so natural, you may not notice them in the daylight, but after dark you can more safely navigate walkways and steps without wires or electricity. We love the effect when they are scattered down the middle of a harvest table. 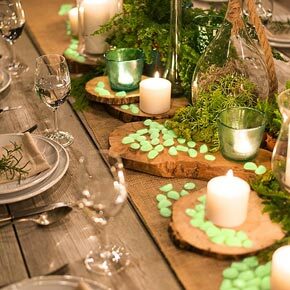 There, the stones can absorb the most solar energy through the afternoon, and then when night falls, shadows deepen, and the party is in full swing, watch as your tablescape begins to gently glow. We've packaged these in sets of 500 stones, each about 1" long so you can make a real impact wherever you choose to use them. 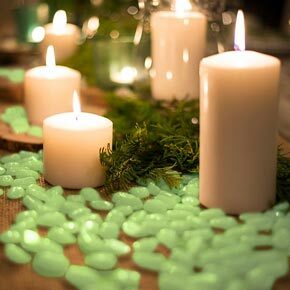 Consider spelling out a name or a special date. We've had a lot of fun playing with them—you will too.